"Our crews are presently patrolling to find out where the power outages are and trying to restore the power as soon as possible. It's mainly due to the weather conditions," Hydro-Quebec spokeswoman Elaine Beaulieu told CBC News. The main cause of the blackouts was tree branches falling due to snow and ice on them – leading to damage to power cables. 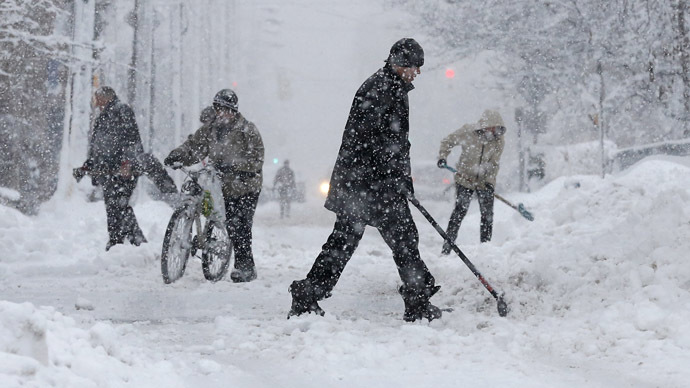 Quebec suffered heavy snowfall Saturday afternoon, becoming freezing rain Sunday morning. There have also been flight cancelations and delays due to the situation. Meanwhile, severe weather raged all over Canada, with British Columbians advised to put off travel. A total of 24 winter storm warnings were issued for the region Sunday. A weather warning for drivers was also issued Sunday evening, and it is expected to extend into Monday. Most of Canada’s prairie provinces and northern Ontario are under extreme cold warnings: southern Saskatchewan, southern Manitoba and northern Ontario are set to fall as low as -40 to -45 degrees Celsius.